America's roots of religious toleration run deep in Southern Maryland, where some of the nation's oldest churches are an indelible part of this peaceful, small-town landscape. Located on an attractive 319 acre water-front campus, St. Mary's College stands on a historic piece of land first settled in 1634. As Maryland's only Public Honors College, students receive the benefits of a small, liberal arts college with the lower cost of state tuition. 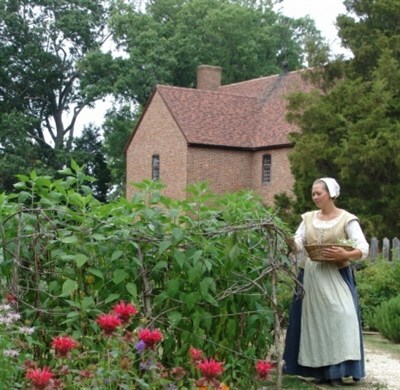 Colorful living history and amazing archaeology reveal the past at Maryland's first capital. Explore a colonial plantation, tall ship, a brick chapel and an Indian hamlet. Visitors can see archaeological excavations and get their hands-on history with a great experience for all ages. Church is built from colonial state house bricks dated 1676. St. Mary's Chapel is located in Ridge, eight miles from St. Mary's City.